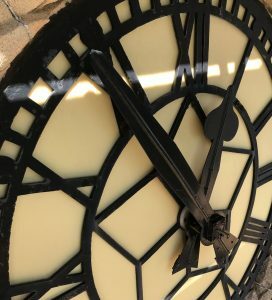 A specialist restoration project of the Memorial Clock Tower in Coalville, which included the overhaul of the 4 5ft skeleton dials which occupy the Grade II listed tower on the High Street, Leicestershire. 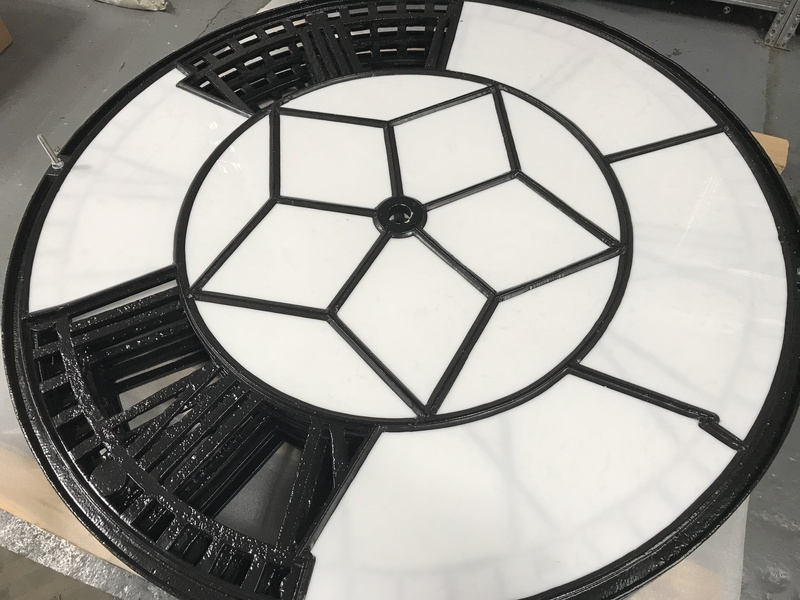 North West Leicestershire District Council approached Smith of Derby, British Clockmaker Tower specialists to inspect the clock and dial works whilst scaffolding was already in place for masonry, steelwork and roofing repairs. The clock tower is an important landmark for the Coalville community and it was an opportune moment to clean and repair the dials. 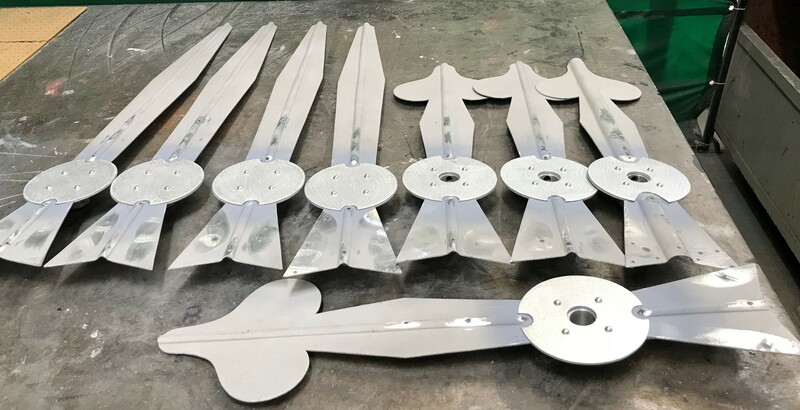 Martin Butchers, Smith of Derby Technical Sales Engineer, carried out the inspection and found that at least three of the cast iron dials had serious structural defects and cracks. The glazing on the dials had also turned a very deep yellow. After consultation, it was agreed that our specialist clockmaking team would remove the 5ft cast iron dials, hands and pulse movements and carry out essential restoration work to the clock faces in our Derby Workshop, before returning them to their home at the top of the 21 metre memorial on Monday 17 September. 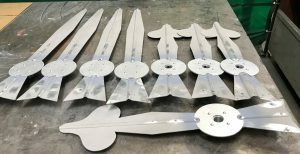 Stacked dials prepared for install with missing glazing panels so our clockmakers can lift the dials into position on-site. 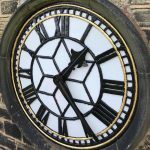 The clock tower work received funding from North West Leicestershire District Council (NWLDC), Heritage Lottery Fund and War Memorials Trust. 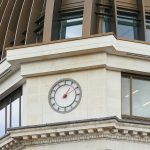 For more information on clock tower funding, please give us a call on 01332 345569 or visit our contact us page and we will be delighted to send you our funding fact sheet. With thanks to North West Leicestershire District for content editorial; please visit their site for more details.